Condor Technologies is looking for a Sales Manager with a background in digital dentistry to lead our direct sales and manage our distributor network in Germany. This position is located in Germany (TBD) and will require a lot of national traveling. You have experience selling to dental professionals. You enjoy working in a start-up environment. You thrive in a rapidly-changing environment. You enjoy validating out-of-the box ideas. You have knowledge of dental CAD/CAM. You have an extensive network of dental professionals in the German market. A challenging opportunity with lots of variation. 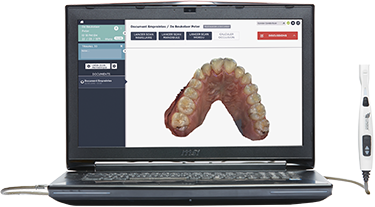 Shape what digital dentistry will look like tomorrow. A career path with opportunities for growth and promotion. A competitive compensation with a base and commission portion. Be part of one of the biggest opportunities in the dental industry. If you are interested in this vacancy, please do not hesitate to fill out the form below to tell us about yourself. We aim to get back to any candidate within 24 hours.